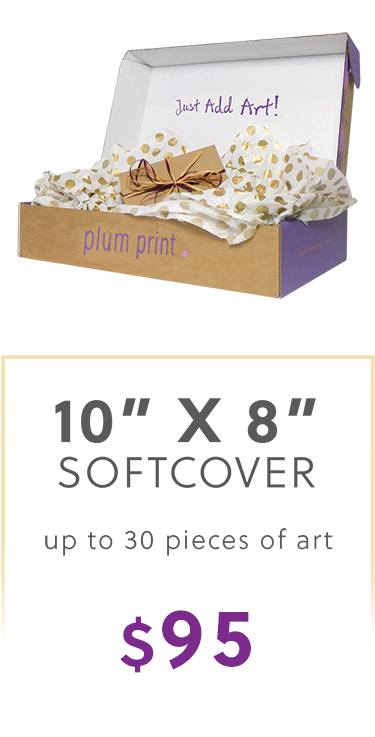 How It Works: After you order, we send you (or your recipient) a beautifully wrapped Plum Print Shipping Box, with the Gift Certificate, envelope, prepaid label, art submission form, and instructions tucked inside. 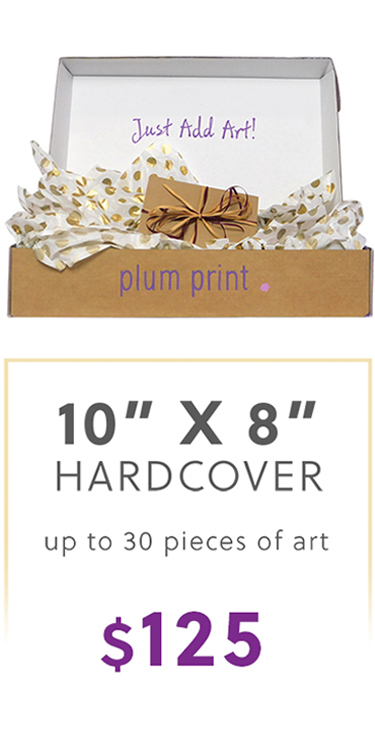 To Redeem: The recipient puts their artwork into the Plum Print shipping box, along with their gift certificate. The recipient then attaches the pre-paid FedEx label to the outside of their box and drops it off at FedEx. Our team of talented designers will work their magic digitizing and designing the book. The customer receives a digital proof to view and approve. The completed, custom coffee table book is shipped and artwork returned upon request. Enjoy! 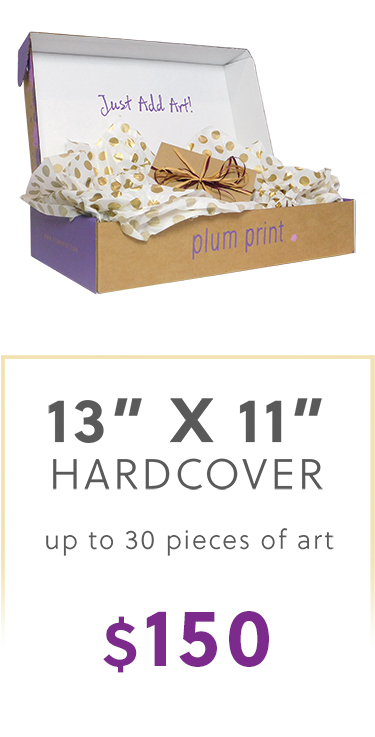 Artwork Return: Upon request (on the Art Submission Form on top of shipping box), artwork can be returned for an additional $19.99. More Than 30 Pieces: Customer will be invoiced $2 for each additional piece. Expiration: Gift Certificates expire two years from date of purchase. International Orders: Extra shipping costs will apply. Artist Photo: After we receive the artwork, the customer will be prompted to upload a photo of the artist for the opening page of the book. Proofing The Book: the Gift Certificate recipient will receive a digital version of book to review and approve before it goes to print.